Agency, 25 January : The Trump administration is trying to cut Venezuelan president Nicolás Maduro’s revenue streams, US National Security Adviser John Bolton says. The comments come one day after Mr Maduro cut diplomatic ties with the US. He was angry after they recognised an opposition figure, Juan Guaidó, as interim president on Wednesday. Mr Bolton told reporters outside the White House the issue was “complicated” but they were working on a plan to funnel funds to Mr Guaidó instead. Figures from the Trump administration are continuing to try and compound pressure on Mr Maduro as the international community remains divided in its support of him. 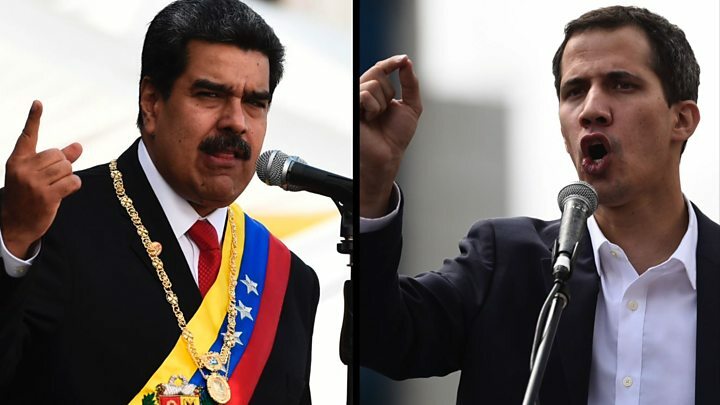 Russia has condemned foreign powers for backing Mr Guaidó, saying the move violated international law and was a “direct path to bloodshed”. Mike Pompeo, the US Secretary of State, has now requested a UN Security Council meeting be held on the issue on Saturday.At a meeting of the Organisation of American States (OAS) on Thursday he described Mr Maduro’s government as “morally bankrupt” and “undemocratic to the core”. President Trump has said that “all options are on the table” in response to the unrest. Large protests were organised against, and some in support of, Mr Maduro on Wednesday. At one demonstration in Caracas, Mr Guaidó, Venezuela’s National Assembly leader, declared himself as the country’s interim leader. He said articles within the country’s constitution allow him to assume interim power because he believed Mr Maduro’s election, and therefore presidency, was invalid. He has vowed to lead a transitional government and hold free elections. The government of Mr Maduro, who has maintained the military’s support, described Mr Guaidó’s actions as an attempted coup.